With smartphones and tablets becoming more commonplace in enterprise environments, the interest in mobile learning is growing. 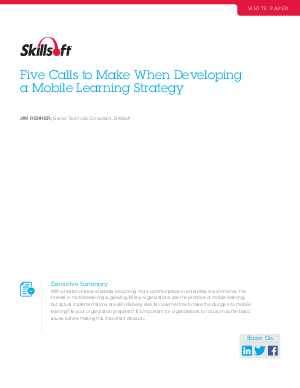 Many organizations see the promise of mobile learning, but actual implementations are still relatively rare. Is now the time to take the plunge into mobile learning? It’s important for organizations to focus on some basic issues before making this important decision.